CHARLIE NEEDS A NEW HOME. This fabulous greyhound is Charlie. He is a retired racing greyhound who is looking to live out the rest of his life in a comfortable, loving home. He is nearly 5 years old, date of birth is 18 July 2014, and he is a real pet. He is house trained and is very friendly. He is very playful and really is so affectionate. 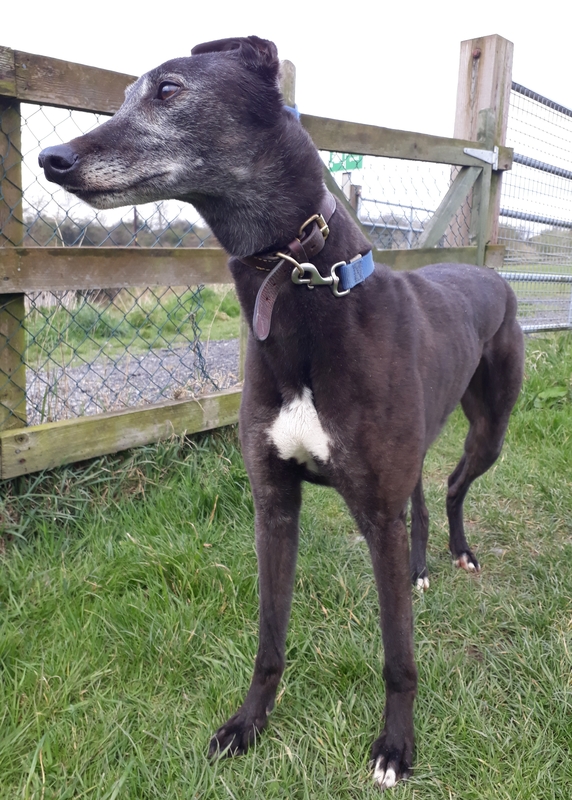 We would not recommend him for a home where there are cats or small dogs, but he gets on very well with dogs that don’t look too furry or remind him of a hare. He is a very happy dog and is sure to bring years of joy and fun to the family that are lucky enough to have the pleasure of becoming his new owners. He has been neutered, microchipped and is fully vaccinated. If you would like to meet him, he is at the KWWSPCA Animal Shelter which is open to the public from 1.00 – 3.00 Mondays to Saturdays or at other times by appointment. We ask for a minimum donation of 150 euro and home check applies. With expressions of interest please contact 0871279835 or kwwspca@gmail.com.